Higinia Beatriz Pangrazio, “Betty”, was Promoted to Glory on March 18, 2019 at the age of 90. Born January 11, 1929 in Formosa, Argentina she is preceded in death by her mother Daria Francisca Piraggini, father Antonio Nicolas Pangrazio and brother Antonio Pangrazio. A Celebration of Life service will be held at The Salvation Army in Orlando, Florida on Saturday, March 23rd at 10 AM. In 1960, she immigrated to the United States with the dream of a new life. It was here that she was introduced to The Salvation Army in Arlington, Virginia which quickly became her church, where she worshipped and served faithfully for 40 years. 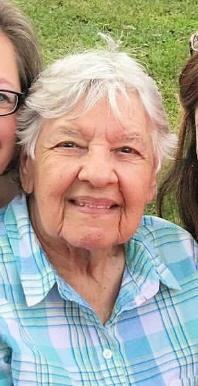 Betty’s love for her Lord was very evident to all who knew her, and His joy exuded from her warm smile and laughter. She never met a stranger and was often found befriending and giving food to the homeless. She also had a great love for animals and was known as the “Duck Lady” where she fed and cared for the ducks living around Lake Dot in Orlando, Florida for 18 years. Betty is survived by her son, Ramon Cabrera, daughter, Frances Gilliam, daughter-in-law, Cristina Machuca Clavell, son-in-law, Andrew Gilliam, and 5 handsome grandsons, Alec, Ben, Isaac, Gabriel and Favio. Her presence will be greatly missed by her friends and family here on earth; however, there is joy and comfort knowing she has been received into the loving arms of her Lord and Savior. Hart's Mortuary has charge of arrangements.